With the launch of our new next generation On-board Computer taxi (BCT) product, we will be setting a new standard for all-in-one solutions in the taxi industry world-wide. BCT is an integrated taximeter, a GSM communication device, a digital trip meter, digital data logger and has many more scintillating features packaged as an all-in-one solution. 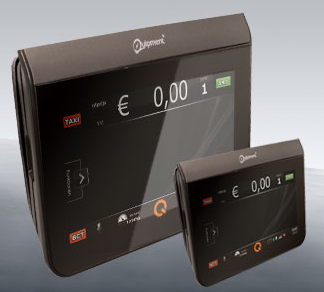 The product offers cutting edge technologies like 3G, Wi-Fi, bluetooth communication to communicate with dispatch centers, 3D navigation, Capacitive touch screen with full clear visibility in direct sunlight, smart card systems for user identification and authentication, pin terminal facility etc and will serve as a reliable partner for every taxi. The user-friendly graphics, highly responsive and easy to use software is a delight for any driver to work with ease on this system. The product will offer intelligent self-correction mechanisms, proactive defect detection on CAN bus from the engine, and other interesting features to keep the taxi-on-the go maximizing revenue for taxi operators.